As a mentor the landscape is much the same. To be an effective mentor with a focus on developing two way trusted relationships you need to be committed to the journey. You must be authentic and sincere in your approach and what you say. Let’s say that you are working with someone that is experiencing low self-esteem and self-confidence. If you say to them that you believe in them but the tone of your voice and your body language say otherwise then you will not be successful as a mentor for that person. I can usually determine if that is the challenge within the first few minutes of the conversation based on some simple questions. I want to be able to demonstrate that I care and want us to work together to move forward. Proper training as a mentor provides me with the skill sets that we need to navigate the road ahead. Building trusted relationships and communicating effectively ensure our success as an effective mentor. All too often we see potentially good leaders that change their focus to other areas where they are not required to lead. Leading people is a complex process and dealing with situations that involve those people is just as challenging. It doesn’t have to be all that daunting of a task though. I see the changes in our mentors from when they begin the journey with us to when they “leave the nest” and they understand the need to build the two way trusted relationship and to communicate effectively. I see when mentors do not have those skill sets and struggle to keep a relationship alive and well. Leadership development programs need to focus more on the relationship building and communicating effectively. 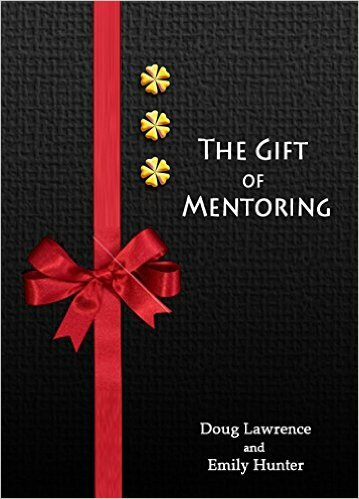 Ideally having mentoring as a component of that program is the desired state. Relationships are important to us in all aspects of our lives and we do need them. 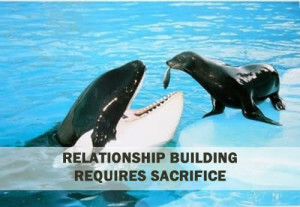 Meaningful relationships take work. Are you prepared for the journey?